Developed by our own painting estimators. 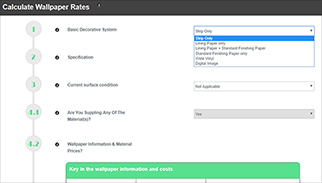 Quick Paint Rate gives you the power to quickly and easily calculate painting/wallpapering rates for all types of painting and decorating works to your own labour rates and material prices. Experienced painting estimators, providing a complete, cost effective estimating service for painting contractors. 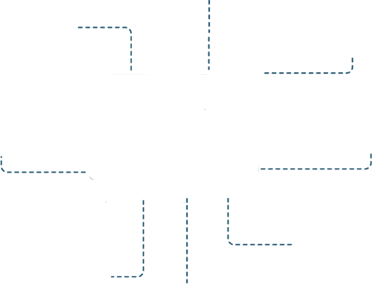 Providing help with CHAS, Constructionline, EXOR, SMAS etc. 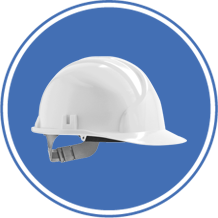 applications as well as Health and Safety Policies, Risk Assessment, Method Statements PLUS our health and safety advisor retainer schemes. Tendering and estimating training courses delivered by experienced commercial painting estimators. 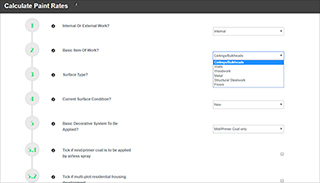 Learn how to price all types and sizes of commercial painting projects from drawings, how to calculate painting rates and much more…..
directly in your Microsoft Excel Workbook. 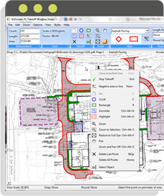 Our electronic drawing "take off" software is essential for Quantity Surveyors, Estimators, Principal Contractors and Trade Sub-Contractors who want to significantly speed up the "take off" process. Measure quantities, quickly and accurately, from electronic drawing files such as PDF, DWG, DWF, TIF, and many more. 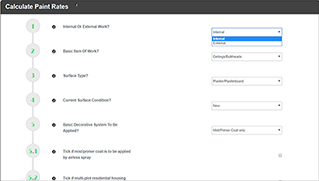 Painting rates calculator software. 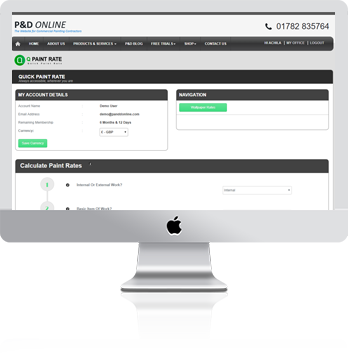 Calculate painting rates for ceilings/bulkheads, walls, woodwork/trim, metalwork etc. 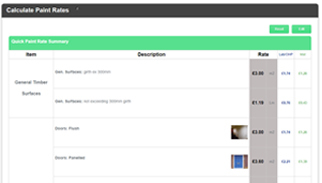 For use when pricing bills of quantities or painting projects based on your own measure. 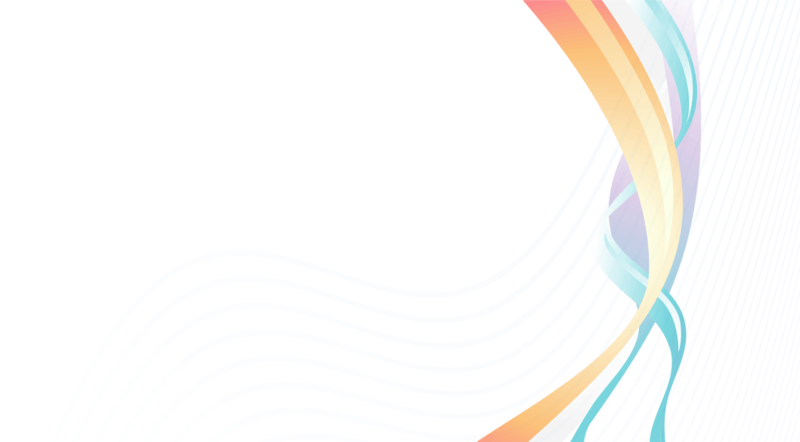 Painting and Decorating Quantity Surveyors. We measure and cost all types and sizes of commercial painting project as well as carrying out on-site re-measures and valuations. Providing health and safety advice for Painting Contractors. Help with CHAS, Constructionline, EXOR, Alcumus, SMAS etc. applications as well as Health and Safety Policies, Risk Assessment, Method Statements (RAMS) etc. 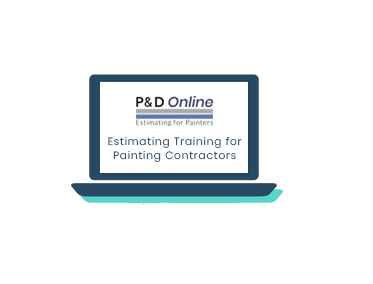 Providing specialist tendering and estimating training courses for Painting and Decorating Contractors: Learn how to measure and price medium to very large size painting contracts. 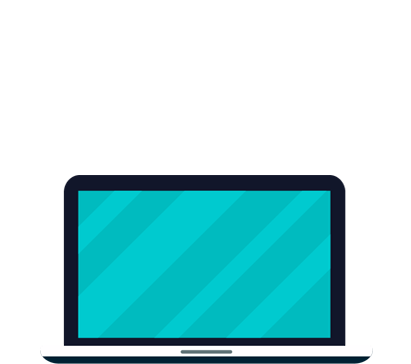 Electronic drawing takeoff software. An Excel add-in giving you the power to takeoff your electronic drawings directly within any Microsoft Excel workbook including your own Excel spreadsheet templates. 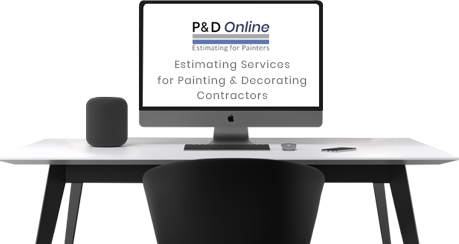 P&D Online has been developed by P&D Surveying Services Ltd, specialist painting contracting quantity surveyors with over 30 years experience in the painting and decorating industry.